Chabad singing sensation Nemuel was born and grew up in France. His house was always buzzing with music, specifically with Chabad music, and especially at the Shabbos table. His connection to music started at a very young age, at family events, expanding to French Jewish events, and then it was clear that he was destined for greatness in the realm of music. About a year ago he released his first album called Hitgalut. It combined classical Chabad music with new twists. It became a Chabad must-have all over the world. Elokai is the first single from his upcoming original album, which Nemuel is currently hard at work on lately. Some of the best names in Jewish music have taken part in this album’s production. This particular song was composed by Yitzy Waldner, who has become one of the top composers in the Jewish music world. Dovid Ichilovitz arranged and produced the track. 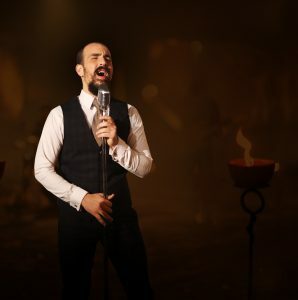 The music video for this song is considered one of the most heavily produced clips on the Jewish music scene. The video was shot in one of the coolest and most unique locations in Yerushalayim, Tzidkiyahu’s cave. 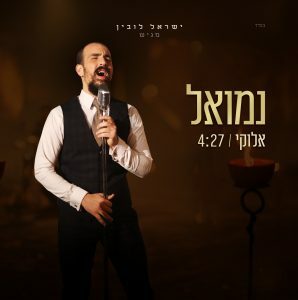 The video was shot and produced byShalom Eizenbach and Ariel Cohen.